If our society shifts away from fossil fuels, it will be enabled by radical technological innovations, not government tinkering with the tax system, writes Philip Cross. 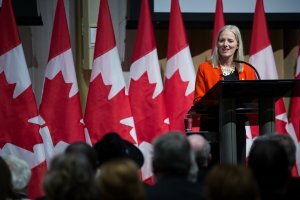 The primary justification for the Trudeau government proceeding with its plan to impose a federal carbon tax on provinces without a provincial one is that climate change requires a government policy response. When faced with any problem or challenge, our society reflexively asks what the government intends to do. Looking back at the source of major changes in our society, one wonders where this reflex comes from? Almost all the major transformations in our economy and lifestyle have bubbled up from millions of people deciding to do the same thing in the absence of any government directive or technological innovations by firms independent of government policy. The 1960s saw a monumental shift from societal to individual rights, which affected everything from civil rights, divorce, the role of women in the labour force and regulation in subsequent decades. The emphasis on the individual is still playing out every time you buy a specialty coffee in the morning on the way to work or a craft beer after work. The 1960s also saw the rapid secularization of society as religion lost its hold, especially in Western Europe, which encouraged the increased profanity and declining quality of culture and public discourse. Women’s participation in the labour force essentially doubled in the post-war era, until by 2010 there were more women than men in the U.S. labour force. There are many reasons for this, starting with the spread of household appliances (notably the washing machine) and the birth control pill, to the increasing frequency of divorce, but none involved a government decision targeting woman for an enhanced role in the labour force. Demographic shifts have always occurred when millions of people simultaneously arrive at similar decisions about having children. Every country that begins to industrialize — irrespective of its form of government and specific family policies — soon sees a sharp drop in its birth rate, heading off Malthusian predictions that prosperity inevitably will create a self-defeating strain on food supplies. The major demographic event of our time was the post-war baby boom (resulting in the rapid population aging currently underway). It was not the result of policy; in fact, governments were quite unprepared for it. The same applies to the major changes in our economy and the organization of our cities. The proliferation of cars and the mass migration to the suburbs in the middle of the 20th century were the uncoordinated response of millions of people to the development of cheap and reliable vehicle transport, not from prodding by governments, which were caught unawares by the exodus from downtown. The automobile itself was the necessary response to the impossibility of relying on horse transport in increasingly crowded urban centres. New technologies such as self-driving vehicles are being developed by firms outside of government directives. The most important technological change affecting our everyday lives today is the spread of communications and sharing of information, especially via social media, on portable devices like smartphones. Again, this was the result of millions of people making their own choices independent from government policy. Given all the examples of transformative change driven by social and technological forces far beyond the control of governments, why do activists expect government policy to lead the charge against climate change? Climate change requires a substantial reduction in greenhouse emissions around the world. The solution is likely to be technological innovation involving either the capture of emissions before they are released into the atmosphere or a way of reducing the amount of carbon dioxide already in the air. Neither will result from slapping a tax on carbon and reducing the demand for fossil fuels. If our society shifts away from fossil fuels, it will be enabled by radical technological innovations not government tinkering with the tax system. Thinking otherwise reflects a refusal to learn the lessons of how foundational change occurs in our society.